Apply online using the VILLA job application (available on the company’s careers page). 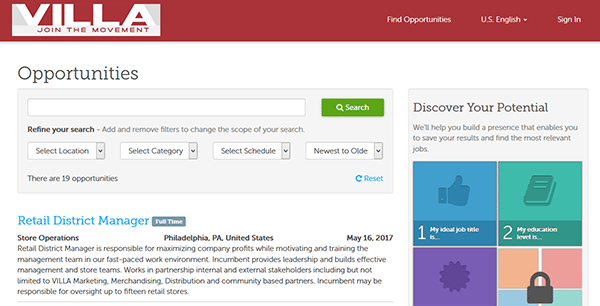 Corporate, retail, and distribution positions can all be search/applied for online. Follow the instructions posted below for more information on the online hiring process. About the Company: VILLA is an American chain of clothing stores based out of Philadelphia, Pennsylvania. The company was created in 1989 and currently operates more than 100 stores throughout the United States. 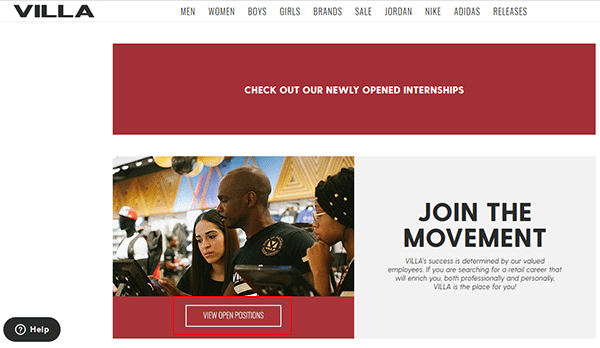 Step 1 – Click this link to open the VILLA careers page in a new browser window/tab. Step 2 – Scroll down and press the “View Open Positions” link (outlined in red in the below screenshot). Step 3 – Enter a keyword into the input field, or select a location, category, schedule, or posted date from the drop-down lists. Press the “Search” button to view the results. 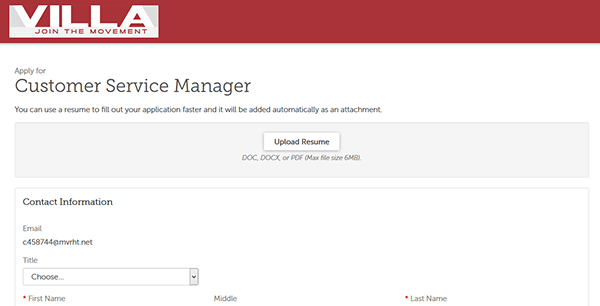 Step 4 – Press the link of the position that you want to apply to. Read the job description to learn more about the position, and then hit the apply link/button (to go to the next step of the process). 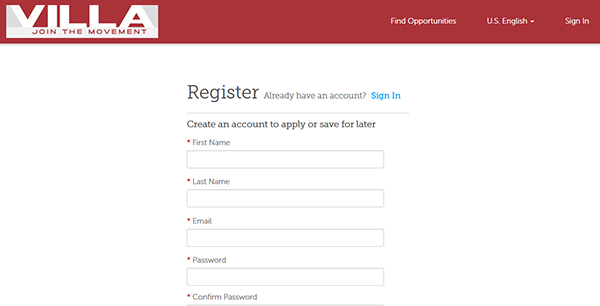 Step 6 – Click the “Register” button to go to the next step. Step 7 – Sign in to your account. Note: After all of the sections have been completed press the “Submit” button.